Russian scientists explore Maya humor. Russian researchers bring a fresh perspective to our understanding of ancient Mayan civilization. Among some of their recent discoveries are humorous myths preserved in stone carvings, as well as shedding light on aspects of Mayan stargazing that contradict recent sensational claims by a Canadian student. Russian researchers have found fragments of ancient Mayan anecdotal myths – a kind of humorous interpretation of their religious events. This challenges previously held notions. The ancient Maya immortalized myths in stone, bone and wood, claim researchers from the Knorozov Mesoamerican Center at the Russian State Humanitarian University in Moscow. Previously, it was thought that Mayan inscriptions were decreed by powerful rulers in order to memorialize political and military events. "We discovered that mythology often served to amuse the reader," said Dmitry Belyayev, an associate professor at the Knorozov Mesoamerican Center. "For example, one of the most popular and well-known texts depicts scenes from the life of the moon goddess and one of the old gods, when he was robbed by a rabbit who stole his clothes and belongings. The text is only a fragment, and we read how the rabbit uses obscene language to insult the god. The same characters are present in the official calendar and cosmological mythology, but it's different there." Now, researchers are trying to reconstruct these myths in their entirety in order to compare them to Egyptian, Mesopotamian, and Greek myths. Russia's current research of ancient Mayan civilization began only in 2010 with public funding. One area of study is taking place on-site in Mexico and Guatemala, and focuses on the Mayan epigraphic atlas, and documenting inscriptions. This is where the humorous myths were found. A second project is a re-release of the comprehensive edition of Mayan manuscripts, and finally, scholars are creating a virtual "Maya World," a 3D online museum of genuine historical objects. The Russian teams have a total of about 20 professionals, as well as students doing field work. The centers are co-financed by local governments, who appreciate the Russian researchers because they are well versed in Mayan history and philology. (Soviet scientist Yuri Knorozov deciphered the complex Mayan writing system in the 1950s and 60s). This contrasts with European and North American researchers, who focus primarily on ethnography and anthropology. 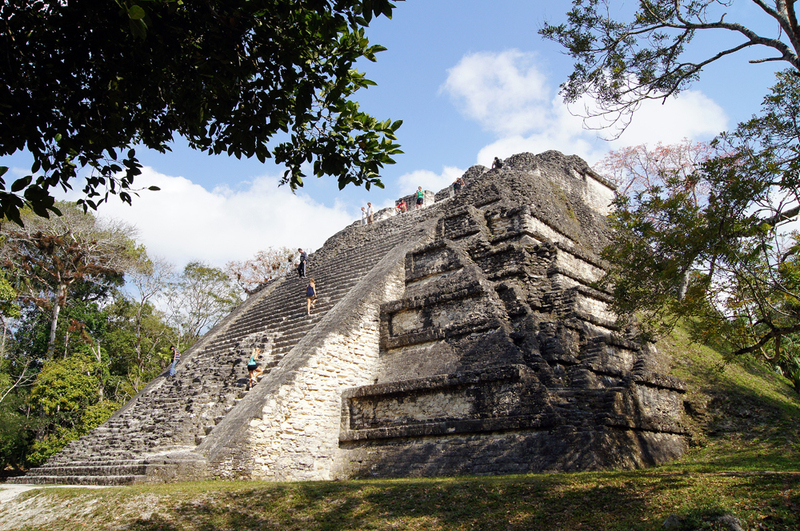 "We are working at famous sites such as Tikal in Guatemala," Dr. Belyayev said. "This is one of the largest Mayan cities of the 1st millennium BC, included in the UNESCO World Heritage List. This year we began to collaborate with the Quirigua archaeological park, which is the second main Maya site in Guatemala, also listed as a UNESCO World Heritage Site." In early May, Canadian student William Gadoury said he found a lost Mayan city using satellite images, and he proposed that the Maya decided city locations inspired by the form of constellations in outer space. While Russian researchers believe this is possible, they caution that Gadoury's hypothesis can only be confirmed by expeditions. Google Maps cannot help in the final identification of historical sites. "His method has a right to exist, but Gadoury drew his conclusions based on the so-called Madrid Codex," said Dr. Belyayev, who added that the Codex does not contain information about the 23 Mayan constellations that Gadoury refers to. The Madrid Codex is an ancient Mayan text kept in Spain, and consists of 112 pages. It is a kind of manual for priests, indicating to which gods and on what day one needs to make sacrifices. It is based on the astronomical calendar, and contains the tables used by priests to predict the rise of planets in the sky. The Codex's length is 6 meters, and it is folded in several places, but the beginning and the end are missing. In addition, Russian scholars point out that the Maya did not have any star charts. Therefore, it is impossible to compare their star map with the real one, as Gadoury allegedly did. "We have Mayan depictions of constellations, and there are references to them in the texts," Belyayev said. "But the Mayans did not have star atlases at all."